The Julie Andrews Collection encompasses quality books for young readers of all ages that nurture the imagination and celebrate a sense of wonder. Embracing themes of integrity, creativity, and the gifts of nature and the arts, books in the Julie Andrews Collection offer gentle wisdom for the growing years. 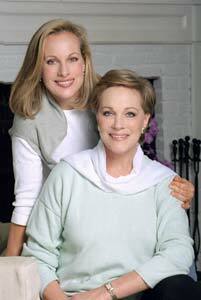 The Julie Andrews Collection features a mother-daughter co-author and editorial team. Emma Walton Hamilton is the Editorial Director for the Julie Andrews Collection. Books in the Collection are published by Little, Brown Books for Young Readers, and have previously been published by Harper Collins, Hyperion Books for Children. The umbrella logo for the Julie Andrews Collection, which canopies a collection of stars, reflects the way in which the Julie Andrews Collection “umbrellas,” or encompasses the talents of, many stars of all kinds – including authors, illustrators, musicians, lyricists, editors and recording artists, among others. The umbrella also encompasses multiple creative disciplines and ideas. Books within the Collection are often re-purposed into other creative formats designed to enrich a reader’s literary experience of a book – including digital/audio books, stage, film and musical adaptations, classroom study guides, creative activities, web games, apps, songs, television programs and other creative outlets. Words are the fabric of stories – the threads which, when connected, weave a tapestry that is larger than the sum of its parts and that conveys not only narrative but heart. Words inevitably lead to wisdom – by connecting words to ideas, and ideas to meaning, the reader is illuminated. We learn not only about the author’s world, but by extension our own, and our place in it. Wonder is the natural consequence: an appreciation of beauty, of the majesty of nature, of art, of language… and of the larger design, that in its individual expressions of grace elevates and unifies our common experience.